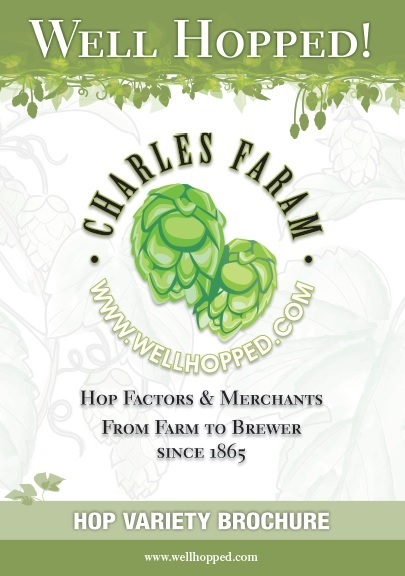 Wellhopped Ltd is the parent company of the group containing Charles Faram & Co Ltd (UK), Hawkins & Floyd Ltd (UK), Charles Faram Inc. (USA). and Charles Faram Brewing Supplies Inc. (Canada). The group companies supply ingredients, products and advice to the drinks industry. To meet the contractual obligations entered into by you the client and the data subject. Any legitimate interests pursued by us, or third parties we use will be advised to you at the time we collect your personal data. By accepting this privacy notice, you are giving us your permission to process your personal data specifically for the purposes identified. Consent is required for Wellhopped Ltd to process personal data where there is no overarching legal reason for the processing of personal data, but it must be freely given. Where we are asking you for sensitive data, we will always tell you why and how the information will be used. Where we are processing your personal data on the basis of consent, you may withdraw your consent at any time by following the procedure described in our document: Withdrawal of Consent Procedure. Wellhopped Ltd will not pass on your personal data to third parties without first obtaining your consent, unless that is a necessary part of our processing procedure and we have advised you of that need at the point of the collection of the data. We may pass your personal data to the following third parties for the reasons shown below as part of the processing activities. Wellhopped Ltd will process and store the personal data in accordance with the company retention period as detailed in the Retention Period Procedure. • Right of access – you have the right to request a copy of the information that we hold about you in line with the Subject Access Request procedure and using the Subject Access Request Form. • Right to judicial review: if Wellhopped Ltd refuses your request under rights of access, we will provide you with a reason as to why. You have the right to complain as outlined below. In the event that you wish to make a complaint about how your personal data is being processed by Charles Faram and Company Limited or by a third party as described above or about how a complaint has been handled, you have the right to complain to Charles Faram and Company Limited data protection representative, or to lodge a complaint directly with the supervisory authority.